The location of the worlds highest tides. Walk on the ocean floor during low tide. 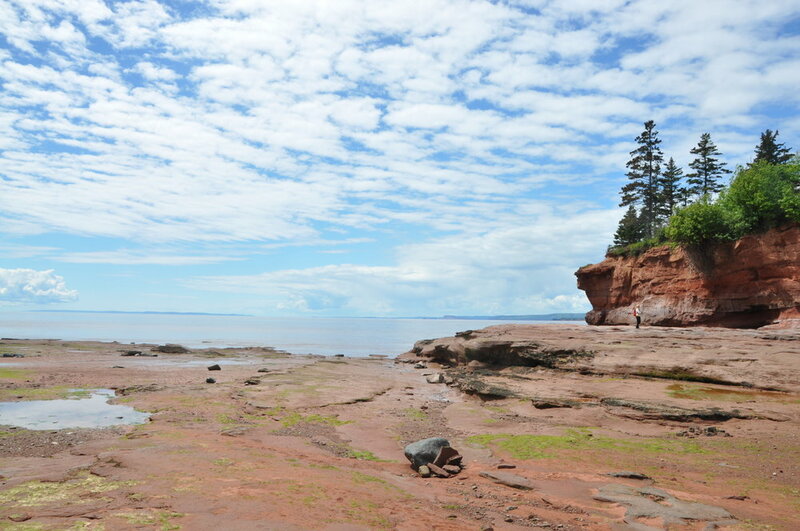 Burntcoat Head Park can be explored for hours at low tide, and even as the tide begins to come in. Park guides will keep you notified when approaching the floor. They even offer ocean floor tours. Click on the link to find low and high tide times to plan you day. As the tide rolls in at Burncoat Head Park, take Hwy 215 to Anthony Provincial Park and explore the beautiful beach & vistas from the wharf & picnic areas. The Maitland Wharf in Dawson Dowell Park allows you to see the tide bustle in as rafters head out to catch the tidal bore and begin their trip. Click on the link below to find the tide schedule for the village of Maitland, via River Runners rafting. Arrive in South Maitland at the Fundy Tidal Interpretive Centre and witness the final bore from the observation deck. Click on the link below to find tide times.